When the organization grows with a lot of IT devices, it is very challenging to keep them compliance with security standards and to monitor them for noncompliance is a humongous task. With Rudder, it can now be done easily. 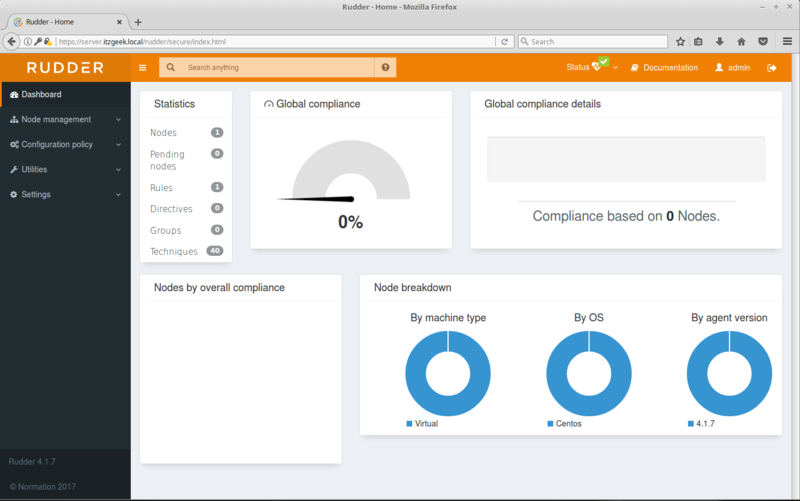 Rudder is an open source software solution for IT infrastructure Automation & Compliance. It is straightforward web-based audit and configuration management tool that helps you keep an eye on Infrastructure compliance and achieve 100% compliance with the help of built-in automated rules. Rudder has built-in rules to perform low-level configuration patterns like ensure file content, ensure package installed, ensure line in a file, etc. Checked – Just reports the noncompliance. Enforced – Reports noncompliance and performs the remediation action. Ruder works on almost every device including physical servers, virtual servers, cloud instances, and embedded IoT devices. The rudder has the built-in workflow to validate/deploy configuration changes via Change request. 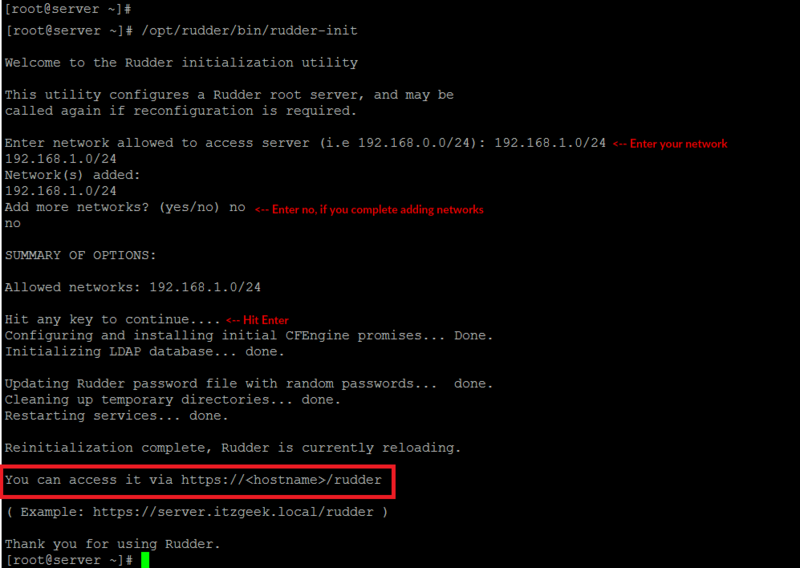 Rudder works as a client-server model. Rudder Agents (CFEngine) send audit data to Rudder server, and it needs to be installed on all hosts to audit. The agent is very small, light-weighted, and auto-updatable. Port 5309, 443 TCP and 514 TCP/UDP from nodes to Rudder Server for agent communication. Port 443 from your desktop to rudder Server for accessing the Rudder web interface. If you want to trigger agent runs from Rudder Server (apart from regular interval), you will need DNS server to resolve the hostname of your nodes. Rudder requires Java RE version 8 or later. 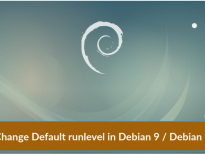 It will be installed automatically during the installation of Rudder server. If you want to go for Oracle Java, then follow the below articles. Here, we will cover the installation of Rudder Server. Add the Rudder project package repository for the installation of Rudder server. 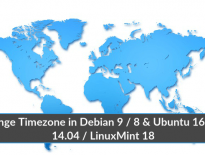 You can use yum in CentOS/RHEL and apt-get in Ubuntu/Debian for installing Rudder Server. Once the Rudder server installation is complete, you have to run the following command to configure some system elements. called again if reconfiguration is required. Configuring and installing initial CFEngine promises... Done. Updating Rudder password file with random passwords...  done. Cleaning up temporary directories... done. Reinitialization complete, Rudder is currently reloading. Thank you for using Rudder. Update firewall rules for Rudder. Now, you will be able to access the Rudder web interface by going to below URL. 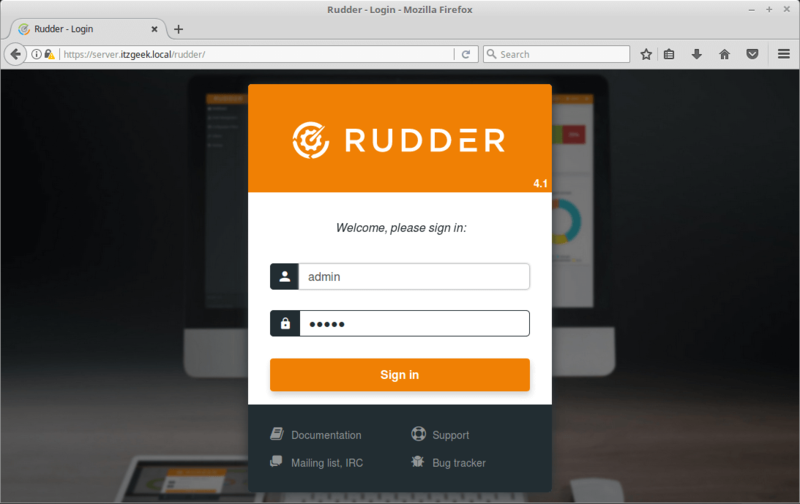 On Rudder login screen, enter the username and password to access the Rudder dashboard. The default login is “admin” with password “admin”. That’s All. In the next article, we will cover the installation of Rudder agent on nodes to collect the compliance data.